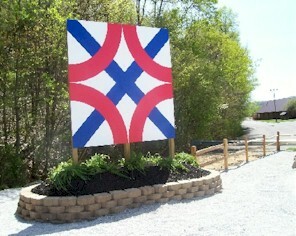 Notes: A freestanding quilt square that is part of a wayside commemorating the town of Farmers, whose original name was Crossroads. A park-like setting has been developed to make this site an educational and tourist attraction. Location is close to the Bath County line.